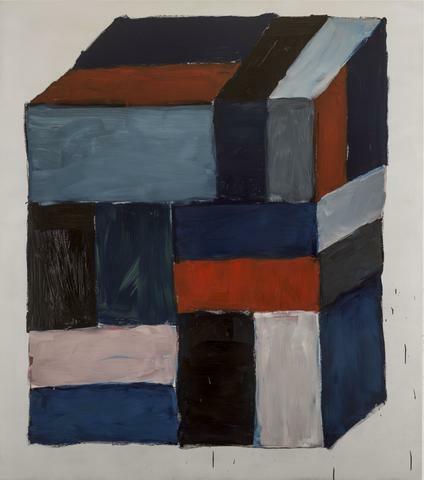 Cheim & Read is pleased to announce an exhibition of new paintings, drawings, and sculpture by Sean Scully, which will open on March 30, 2017, and run through May 20. In this show, Scully underscores the interplay between his two-dimensional and three-dimensional work, employing an expansive array of forms and materials, including oil and spray paint, watercolor, graphite, pastel, and oil stick, as well as aluminum, Corten and stainless steel. Among the largest works in the show are the 9-foot Untitled (Tower) (2016), composed of alternating sections of Corten and stainless steel, and Blue Note (2016), a monumental painting on six joined aluminum panels measuring 9.2 by 26.7 feet. For Blue Note, Scully used oil paint on four of the panels and acrylic spray paint on two, a combination inspired by his own work from the 1970s, which was shown by Cheim & Read last year in its first off-site exhibition. The concepts animating the show, according to the artist, lie in the opposition between ‘ascending’ (the steel tower) and ‘descending and compression’—the latter evoking his teenage experience as the operator of a baling machine at Woolworths, crushing and stacking cardboard boxes. A number of paintings (Block Red and Block Brown, both 2016), supplemented by related watercolors and drawings, use isometric perspective to isolate a three-dimensional form in space, representing a significant departure from the frontal compositions widely associated with the artist’s practice. These works continue an investigation Scully began at the beginning of this century with such stacked sculptures as Crann Soilse (2003) and Wall of Light Cubed (2007). The artist balances the weight and density of Untitled (Tower), and the Block paintings with a series of sculptures (Stack, 2016) assembled from square steel frames of varying dimensions, replacing mass with open air. The exhibition will include multicolored and black monochrome works from this series as well as corresponding watercolors. In conjunction with the Cheim & Read exhibition, Sean Scully will open his Chelsea studio to the public for the first time. A selection of works from the mid-Seventies, an overlooked moment in the genesis of his work, will be contrasted with the debut of two new works: a sculpture, and a four screen video projection. The studio is located at 447 West 17th Street. Sean Scully was born in Dublin in 1945 and grew up in the south of London, where his family moved in 1949. He has shown nationally and internationally in such venues as the Metropolitan Museum of Art, New York; the Philadelphia Museum of Art; the Lentos Kunstmuseum Linz, Austria; and Kunstmuseum Bern, Switzerland. Retrospectives of his work have been held at museums in Barcelona, Spain; Sainte-Etienne, France; Rome, Italy; Duisburg, Germany; and Belfast, Northern Ireland, and most recently in China at the Shanghai Himalayas Museum (2015); CAFA (Central Academy of Fine Art), Beijing (2016); Museum of the Nanjing University of the Arts, Nanjing (2016); Guangdong Art Museum, Guangzhou (2016); and in 2017, Hubei Art Museum, Wuhan.